The shopping frenzy has started and I bet you’ve had your share of busy stores! Shopping on Etsy has so many advantages over the big stores…and of course it makes you super cool. I seriously love promoting handmade and vintage shops on Etsy…just in case you couldn’t tell that already! I know from being a maker myself that so much love and care goes into every item made or package sent. I know that many Etsy sellers are moms like me. Some are just trying to make a little extra money. Maybe they work while their babies nap. Maybe they work at night to make ends meet. These are real people. Some Etsy sellers are young creatives that are sharing the work with the world. They work hard to design and create each piece from scratch. Some Etsy sellers have worked and worked to quit their day jobs. Now they pour all their talent and energy into something they love hoping to inspired others through their creations. There are many husband and wife teams working together on Etsy…that’s an awesome thing! These are the kind of people I like to support during the holiday season! When I first started selling on Etsy in 2008 I had no idea how my life would change. I began by selling felt hair clips that I enjoyed making and I hoped to earn a little extra gift money for Christmas shopping. It worked. It really worked! I love all the creative people I’ve met over the years and I love to see their success! 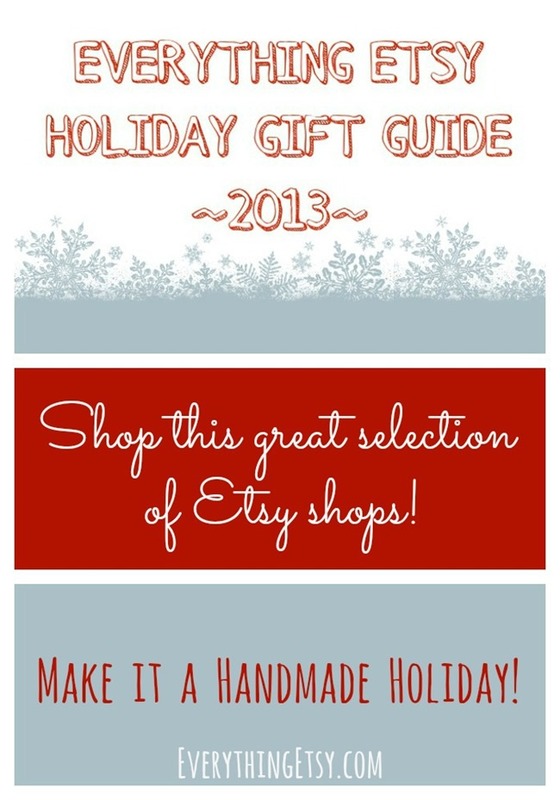 Purchase amazing handmade gifts and vintage finds right from home this holiday season. You’ll end up having the best gifts under the tree and helping others at the same time. Thanks for being a reader of Everything Etsy this year! I agree with every single thing you said and i don’t think ANYONE (i know i couldn’t ) can say it better!!! Great post! Those are all the reasons I shop on Etsy too! Plus, I’ve made so many friends on Etsy and everyone treats you with real kindness, even better than you get treated as a customer anywhere else. Previous Post Start Your Own Website Today — Huge Black Friday Sale! Next Post Felt Ornament Patterns on Sale!